I am currently in my fourth and final year of the Bachelor of Elementary Education program at the University of Alberta. I have always loved to write, and some of the biggest supporters of my creative writing when I was growing up were my teachers. I want to be a teacher who encourages my students to do more of what they are passionate about, just like my teachers encouraged me. I also hope to share my love of reading and writing with my students, and have a focus on literacy in my classroom. I would love to someday publish children’s stories and share them with my students, combining two of my biggest passions in life: writing and working with children. I love the fact that as a teacher, I will learn something new every day, and I am excited to continually work to be the best teacher I can be for my students. Thank you to the Alberta Retired Teachers’ Association and TW Insurance for the honour of being selected to be a recipient of this 2015 Degree Scholarship. I am currently in my third year of a Bachelor of Science degree in Biology at the University of Alberta: Augustana Campus. I have had a passion for biology since high school, and I have become even more interested in the subject since learning more about it at the university. After I complete my degree, I hope to be accepted into optometry school. I realize that this will require a great amount of work and dedication, but I look forward to the challenge. 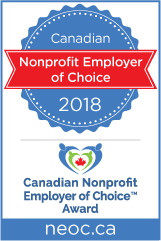 Throughout high school and university, I have been involved in many clubs, sports and volunteer positions, which has allowed me to develop time management skills that will be of great help in the future. 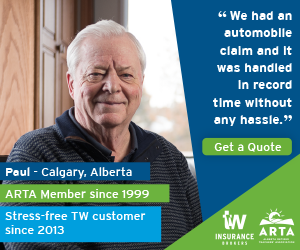 I would like the Alberta Retired Teachers’ Association to know how much scholarships such as the ARTA–TW Insurance Degree Scholarship are appreciated by university students. I am greatly honoured to be a recipient of this award. I am currently completing my final year of Honours Neuroscience at the University of Alberta. Throughout my degree I have attempted to combine all areas of interest to me, including research, languages and athletics. Since my first year I have been involved with electrophysiological research in the field of respiratory physiology, while studying both French and Spanish and participating in multiple sport clubs on campus. The diversity of experiences that I have had throughout my time at the university has helped shape my personal identity and determine what I want to do as I move forward. As I complete my first degree, I am trying to decide between pursuing medical school or continuing to expand my research knowledge through a master’s degree. I would like to thank the Alberta Retired Teacher’s Association and TW Insurance for providing me with the freedom to pursue the things that I am passionate about.